The innovation of the Galaxy Note8's design makes possible the 6.3" Infinity Display. It's the biggest ever for a Galaxy Note—giving you more screen for a bigger view and more space to use the S Pen. The 18.5:9 aspect ratio was made for multitasking. Turn on Multi Window mode to have two apps open at the same time. And for those two apps that you use together, App Pairing presets let you open them simultaneously with a tap. Now it's simpler than ever to listen to music as you find your way or read reviews as you shop. Draw your own emojis, make animated GIFs, or write handwritten messages on photos. Live message allows you to express your feelings and send them to people you care about. When words aren't enough, you can say it with your own animated GIF. Use the S Pen's Smart select feature to select a section of a video and share them with your friends or on social media. Take crisp and clear shots with the Galaxy Note8's dual camera. Its telephoto camera has 2x optical zoom to let you zoom in clearly. 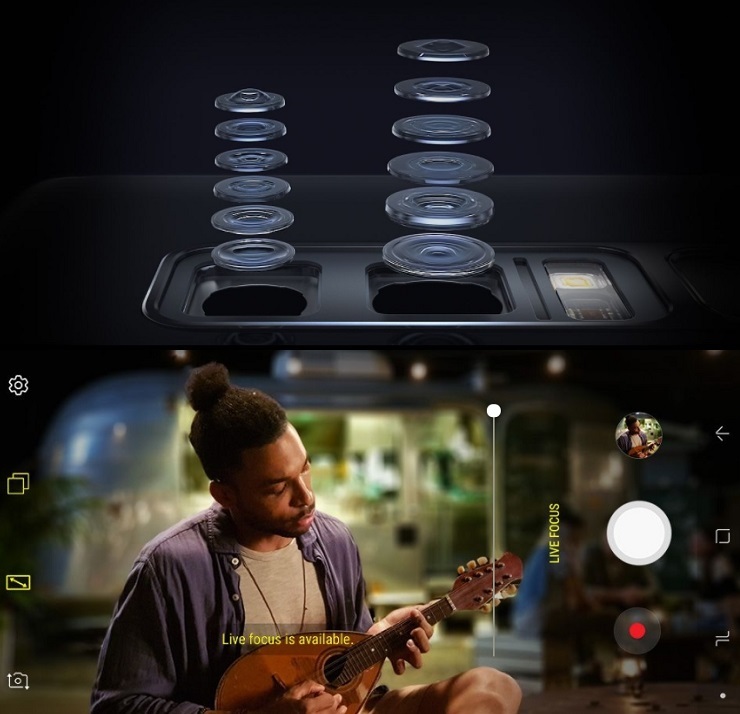 And both cameras have optical image stabilization (OIS) to produce photos that come out beautifully steady even with camera shake. Get the focus you want before you press the shutter button. Live focus lets you take beautiful bokeh shots where you make your subject stand out. And if you're not entirely satisfied, you always have the option to adjust the level of background blur afterwards, while focusing fast and accurately thanks to the Dual Pixel Sensor. Playing visually rich games or switching between apps is a breeze. The 10nm mobile processor works with the 6GB RAM to make it happen fast and seamlessly. Browse the web, download files, and stream videos with speed and ease. 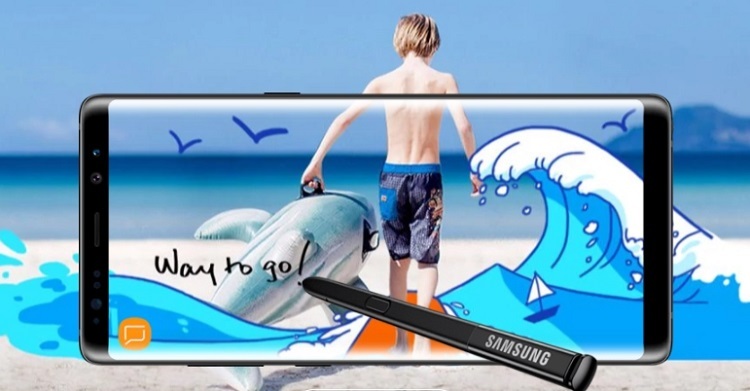 The Galaxy Note8 supports both gigabit LTE and gigabit Wi-Fi, meaning that it's built to give you superior connection speed by tapping into network speeds that can go as high as 1 gigabit per second. Games heavy with graphics feel light on the Galaxy Note8 because it supports Vulkan API. With Vulkan making fast connections between computing and graphics, what you get is beautifully smooth performance that doesn't drain your battery as much. Unlocking with your eyes, your face, or a press of your finger gives you the freedom to focus on things that really matter. 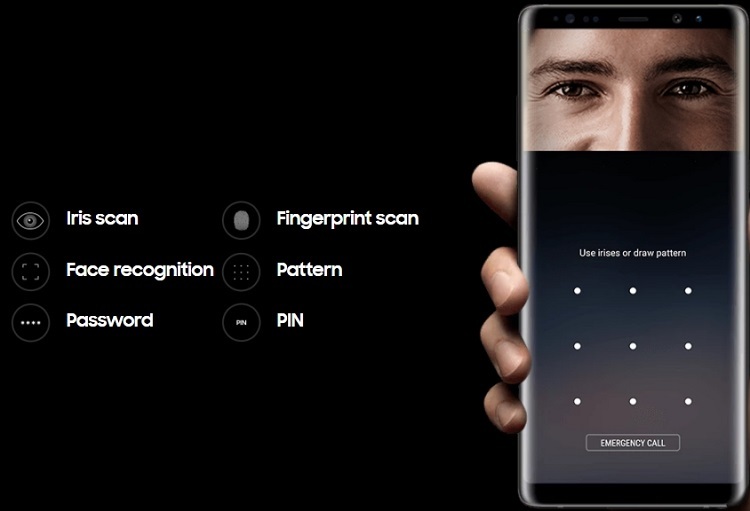 And with Samsung Knox protecting your biometric data as well as safeguarding what's on your phone, you have peace of mind.